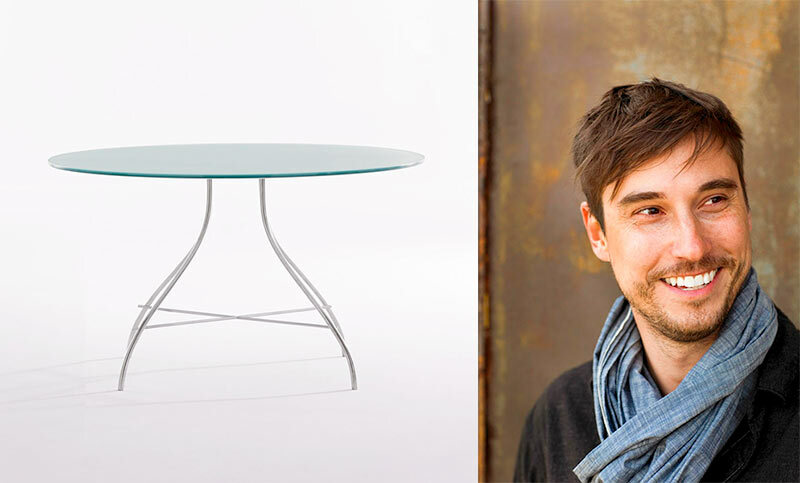 For the final installment of AN‘s New York Design Week Q+A series, we talked with Todd Bracher about his Nest and forthcoming Asa collections, his design philosophy, and inspirations. And Kevin Stark stopped in to visit, as well. How did your collaboration with HBF come about? I reached out originally to Kevin Stark a few years ago, who was the vice president of design at that time. I’ve been in the [design] business for 15 years but worked mostly overseas, so I wanted to find the right partner [stateside]. HBF entered my radar because they produce European craftsmanship; their products are really high quality. A year later a mutual friend reintroduced us and that ignited the relationship. What was particularly enticing about working with HBF? I wanted to pick the best [company] that’s out there; those that I know are reliable and bring quality products to market. But they also have to be fun to work with and trustworthy. So when I surveyed the landscape to see who was smart, growing—really it was a long checklist—there weren’t a lot of companies that landed on that list, but HBF did. They have a really European level of quality, and I don’t mean that in a negative way. In Europe, [furniture] is not just an industry but a passion, and HBF embodies that. What was your design intent for the collections? For Nest, we wanted to hit the perfect balance between lounge and workspace seating, and bridge productivity and comfort. It’s about eye contact at the end of the day. That’s what collaboration is fundamentally about. Physical spatial relationships and engaging is really important. We’re designing for how you actually work. It sounds obvious but not a lot of [companies] do that. HBF is known for its wood work, as well as upholstery, and both are expensive, so we had to find a way to put the money where you need it most. For Nest, we steam-bent wood and used mesh from athletic footwear [on the back]. These design choices were 20 percent cheaper and faster to manufacturer. The mesh is lightweight, and [using it on the chair] was the perfect marriage to bring the material to market. You pay a lot of money to cover things up [with furniture] so if we make the insides beautiful we don’t have to. Probably cost. It’s hard to make beautiful things affordable. The trick is to make the design manufacturable. You have to engage the full team and use their expertise, and pare down what you’re doing without losing comfort and freshness. [Your design] has to be relevant to today, not [just] reminiscent of the past. Sometimes we get it right. For Nest, it’s pretty straightforward. It was all about the idea of keeping things, like our conversations, and containing your experiences. It’s like a protective container so you’re “Nested” in place. For Asa, the S of the word is the inspiration. The body is S-shaped and the frame is A-shaped. The name is a visual representation of the chair. What are the successes of the collection? Cost is always the challenge but that’s not specific to HBF. The real challenge is getting to solve collaboration in an elegant way, and that’s not always so. [You have to] do it in a way that you’d love to have [that piece] in your office space or in your home. A lot of times, you get a brief saying “solve collaboration” and then a block of plastic to work with but we’re solving this in a human way. We’re using wood with tactile qualities, in ways that are familiar to HBF and their customer. That’s pretty tricky to do. It’s about two mentalities coming together and you want it to have both [the designer’s and the manufacturer’s] identity. It also has to be strong visually, comfortable—all these things must lineup. [Nest] can go into a hotel lobby, a lounge area, and what I like about it is that you can spec it for power integration, or combine it with laptop table [for the office]. It’s not obvious but that’s what it’s designed for it. The difference with HBF is that it’s not obviously collaborative furniture. 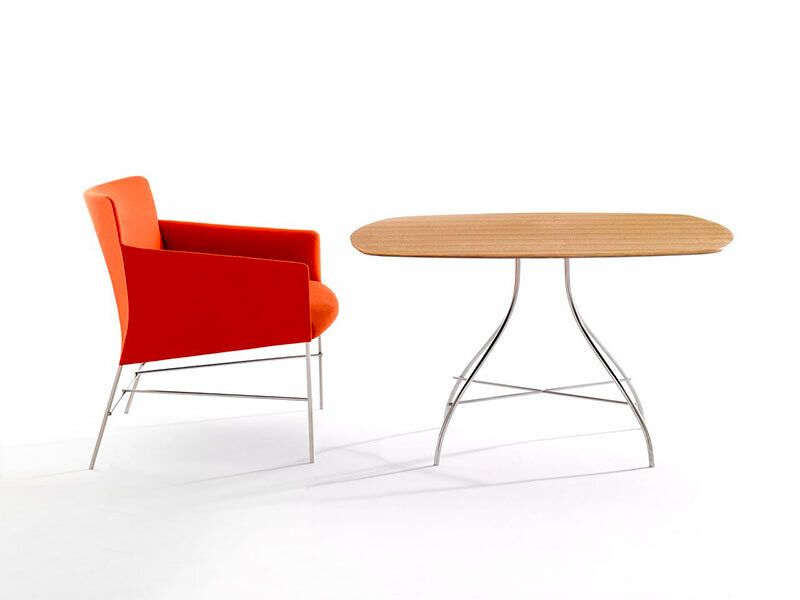 The vocabulary of the furniture collection shouldn’t look collaborative, and that’s what [can] broaden the market. [I find inspiration in] loads of things, but I tend not to draw inspiration from design. It’s usually from food, travel, music; things I don’t know. If it’s familiar it doesn’t click as inspiration. though I certainly appreciate those things. For me, it’s more about the process. Before we design anything we create an ecosystem and define what’s important for the collection. Maybe it’s eye contact, privacy, comfort, but not too much. We really need to define the solution and once we do that the design appears. The more data we put into it, the better the outcome. I always use a tree analogy. You don’t think tree is good looking; you take it for what it is because it’s not about the look but the solution. Look at nature. How often does she get it wrong? Is there a designer or architect you really admire? The architects that I love are long dead and buried. [You could say] I’m a fan of the older styles. We have worked with a great cadre of designers in the past and Todd has a different point of view. His way of aesthetically and functionally solving problems is unique and has been great for HBF. We spent a lot of time interviewing designers and architects about their needs and Todd solves problems first. The Nest [collection] has been a great success for us—and he is great for us. For me this [Nest lounge chair] is an iconic piece. He spent time to understand our craftsmanship and so we stretched our limitation in a good way. Todd gives a new view we haven’t had in a while. Asa is one of the pieces that is familiar but totally fresh at the same time. It has a classic form and design but also a uniqueness to it; the scale in terms of lightness and even the arms the thickness of the back. It’s one of the lowest priced pieces [from HBF] and he’s pulled off a beautiful, contemporary, classic design at a great value. In terms of HBF’s direction, Todd has been integral and given us a glimpse of what we’ll look like in the future from a functional, problem solving, and aesthetic perspective. It’s been a great relationship. We have a great history of lounge furniture for reception areas, and there will always be a place for that, but lounge seating is entering a new area. There is a more collaborative and interactive need. Todd’s pieces fit well into that collaborative intent of how people are using those areas. And we’re just at the beginning of that learning curve, in terms of this changing working environment and dealing with those issues.